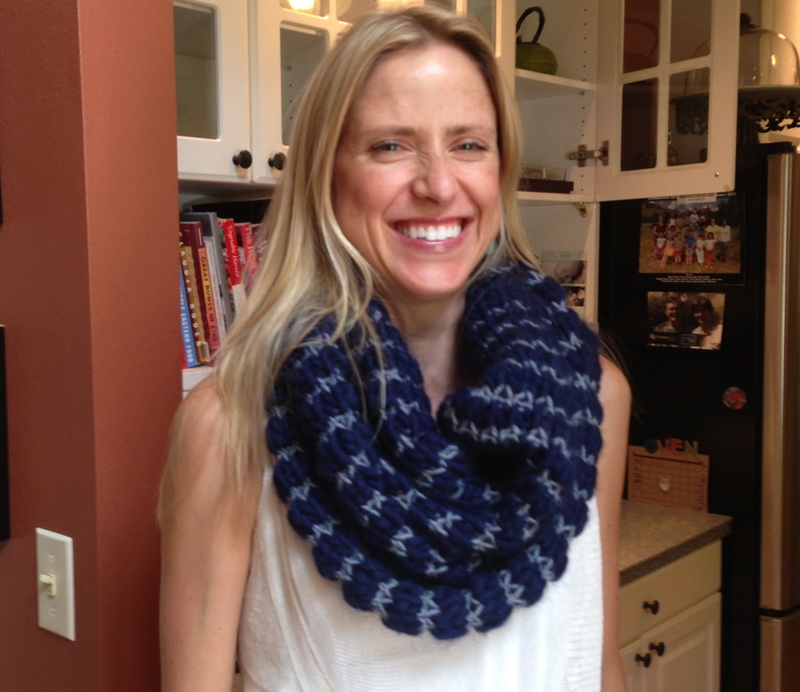 My inimitable friend Liza asked me to make her a cowl, and you don’t really say no to Liza. I’d been looking for a good pattern when I saw another friend knitting up a pretty cowl and realized it would be perfect with the right colors. I asked Liza what colors she’d like, and she said something to counteract the severe whiteness (sorry hon, your words, not mine). Now, I tend to wear lots of bright colors that contrast, so left to my own devices I would have made this pink and orange, or yellow and purple, or some other colors on opposite ends of the color wheel. As it is I went for something more subtle and it turned out lovely and probably nicer. 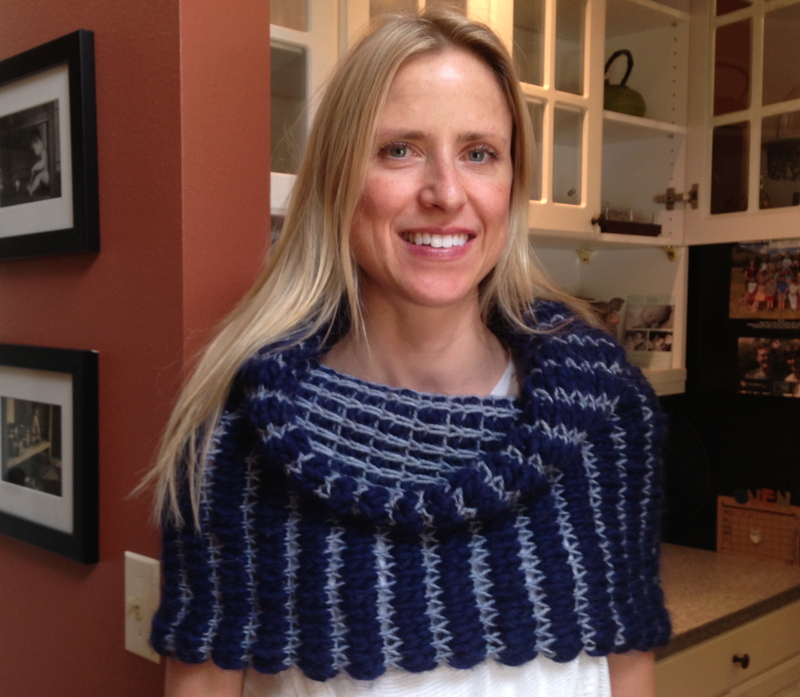 It can be more of a shawl or if you wear it up then a true scarf/cowl. It’s also reversible if you want the stripes to go horizontally. Yarns used: Cascade Magnum in Navy and Blue Sky Alpaca silk for the light blue. This was such a fun knit I might have to make another one. Or three.